Don't Just Watch TV, Make It! About Don't Just Watch TV, Make It! Want to get involved, make media, and connect with our community? Channel 17/Town Meeting Television opens the doors to local government with in-depth coverage of public meetings, community stories, local elections, and live call-in shows. Our volunteer and internship opportunities can open doors for you, too! 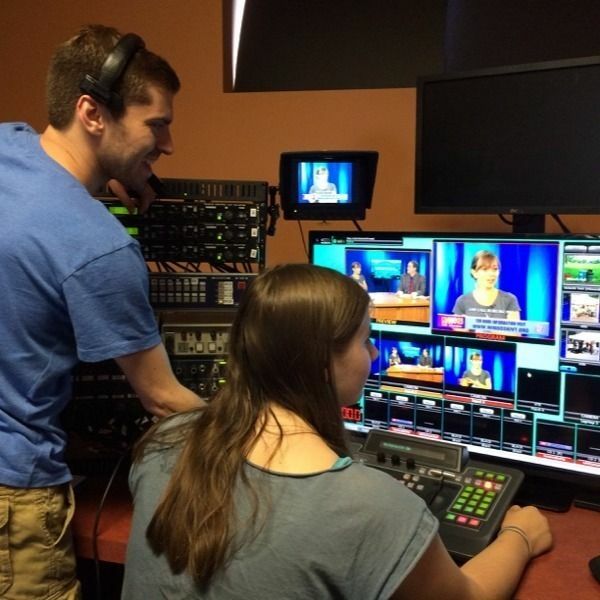 - Run cameras for (or host) our “Live at 5:25” shows. - Cover community events and interesting people in the field. - Produce public service announcements for your organization or local nonprofits. - Be a part of history by being our Digital Archivist to help us archive three decades of programs--including hundreds of hours of Bernie Sanders footage. Contact us today to schedule a tour and learn more about volunteer & internship possibilities. We welcome volunteers of all ages, college and high-school interns, and free speech apprentices. Log in to see who is volunteering for Don't Just Watch TV, Make It! !